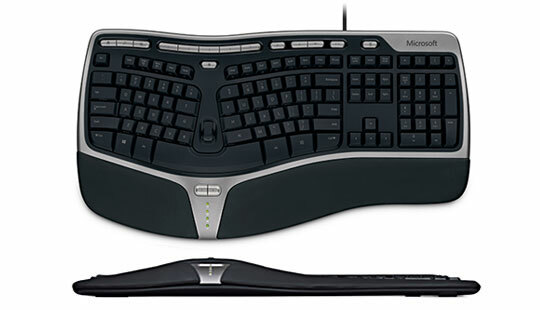 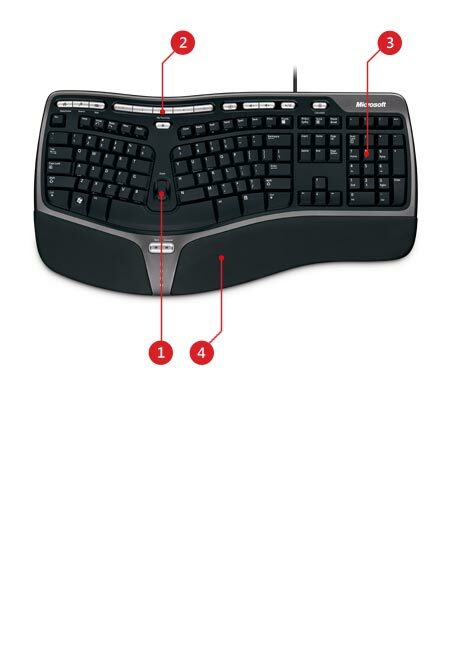 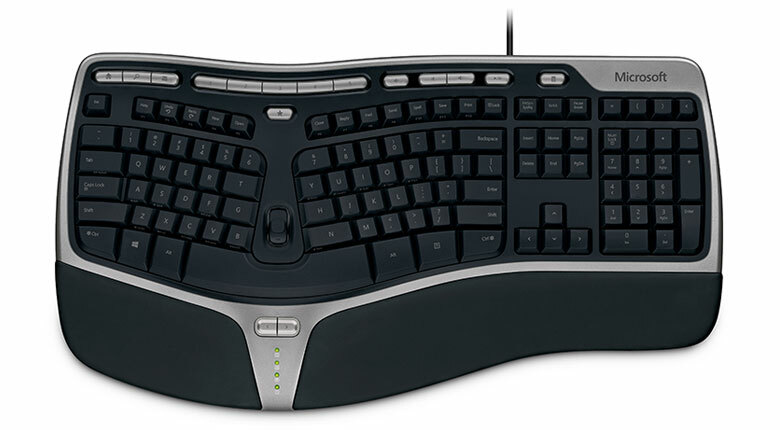 Place your hands and arms naturally and comfortably with the Microsoft® Natural® Ergonomic Keyboard 4000. 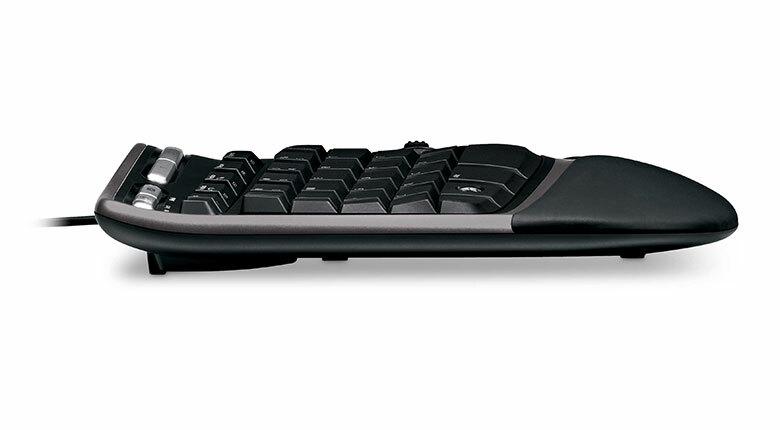 The improved split design encourages a more natural hand, wrist, and forearm position and its new curved key layout makes keys easier to reach. 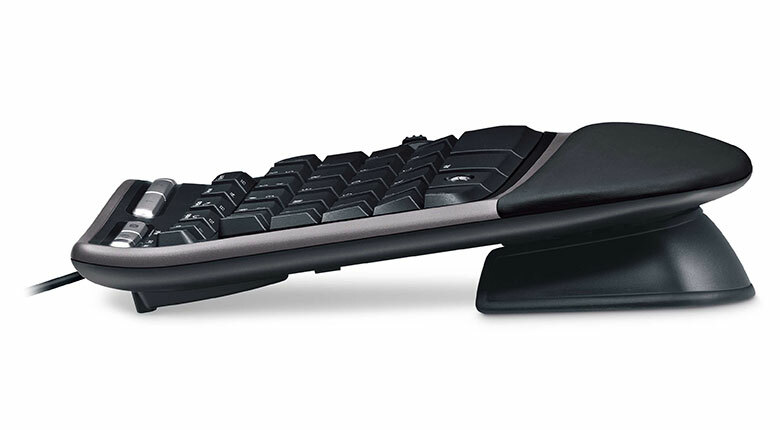 The Zoom Slider lets you zoom in for close-ups of Web pages, images, and more — with just the touch of a finger. 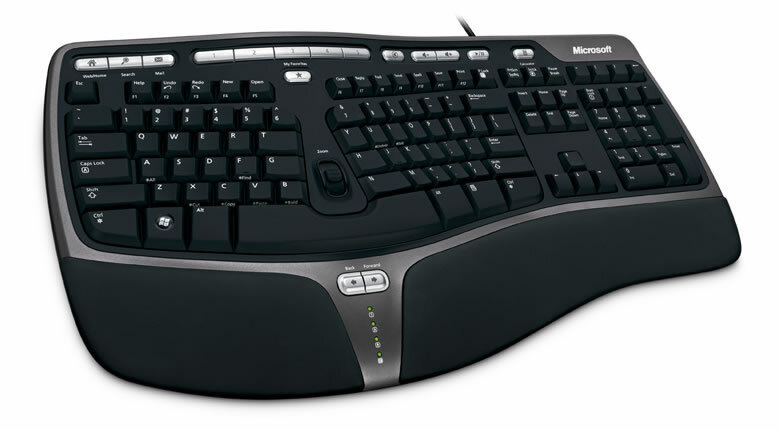 And 5 customizable “My Favorites” keys give you instant access to the folders, files, and Web pages you use most. 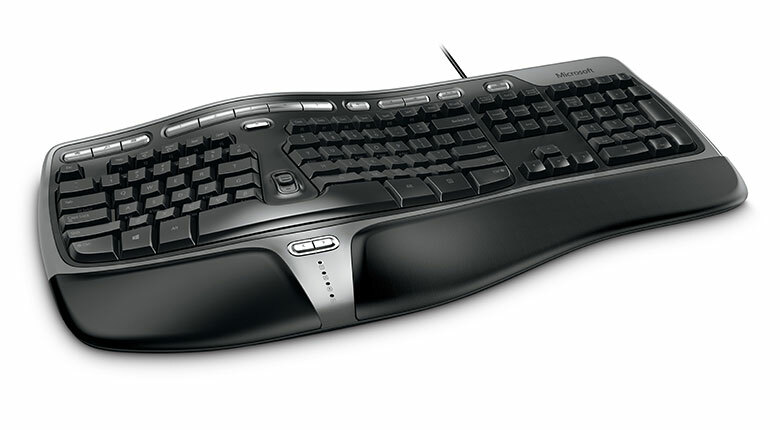 Users of Mac OS X v10.2.x must install enclosed IntelliType Pro and IntelliPoint software before connecting the hardware.